All SM resistors conform to a 3-digit or 4-digit code. But there are a number of codes, according to the tolerance of the resistor. It's getting very complicated. The first two digits represent the two digits in the answer. The third digit represents the number of zero's you must place after the two digits. The answer will be OHMS. For example GIVEN: 334 is written 33 0 000. This is written 330,000 ohms. The comma can be replaced by the letter "k". The final answer is: 330k. or 22 and no zero's = 22R or 47 and no zero's = 47R. Sometimes the resistor is marked: 10, 22 and 47 to prevent a mistake. The 3 letters (R, k and M) are put in place of the decimal point. This way you cannot make a mistake when reading a value of resistance. In most cases, a capacitor fails due to the deterioration of the dielectric material between its plate.Defective capacitors can have an internal shorted terminals, excessive leakage and degradation of capacitance meter. For an electrolytic capacitor (capacitors with polarity), short the terminal capacitor to discharge it prior to testing. 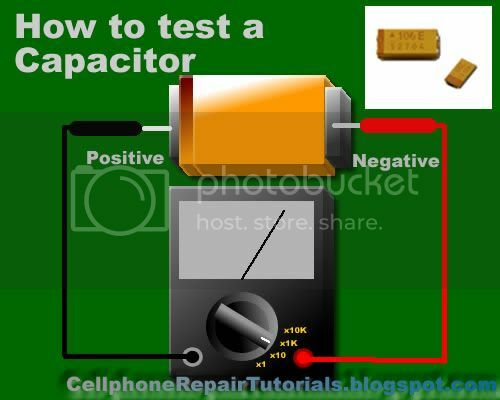 To test a capacitor, set the multimeter to Rx10 or Rx1K scale. Connect the tester negative probe to the capacitor positive terminal and the positive probe to the negative terminal. A good indication for electrolytic capacitor shows the meter needle deflecting towards zero and moves back again to infinite resistance position. 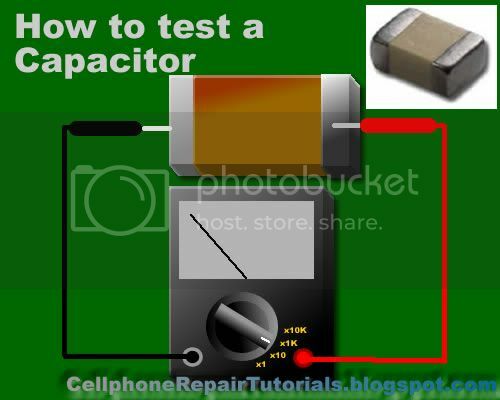 For ceramic, Mylar and other capacitor with a capacitance with less than 1.0 uF, the meter will not deflect at all. A defective indication for an electrolytic capacitor shows that the meter will rest on zero and remain stationary at a point which is an indication that the capacitor is shorted. Ïðîøëûì âå÷åðîì ðàçãëÿäûâàë ìàòåðèàëû ñåòè èíòåðíåò, íåîæèäàííî ê ñâîåìó óäèâëåíèþ óâèäåë ïðåêðàñíûé ñàéò. Ïîñìîòðèòå: [Only registered and activated users can see links. ] . Äëÿ íàñ âûøåóêàçàííûé ñàéò ÿâèëñÿ î÷åíü íåïëîõèì. Õîðîøåãî äíÿ!